New legislation in Indiana would more quickly establish live-dealer table games at the state’s racinos. On Jan. 24, House Bill 1483 was introduced and referred to a committee. The brief three-page proposal was authored by Rep. Sean Eberhart, a Republican, and co-authored by Rep. Terri Jo Austin, a Democrat. 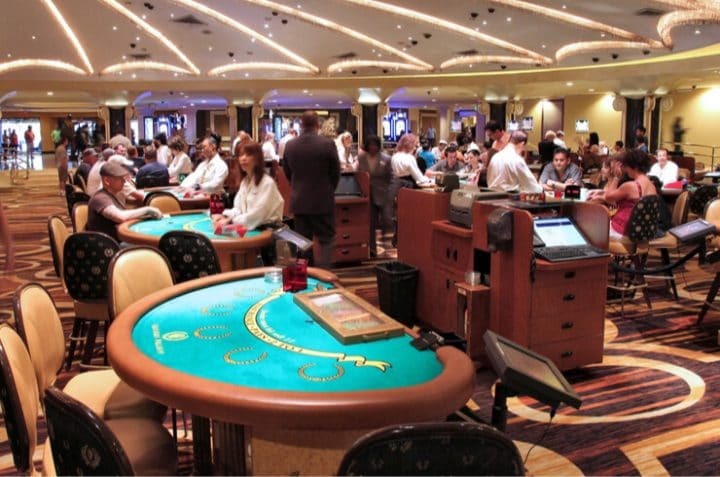 Should the bill become law, a racino licensee would be allowed to submit a plan, between June 30, 2019 and Oct. 1, 2019, to the Indiana Gaming Commission for non-electronic table games. The commission would have 45 days to review a proposal after it’s submitted, which means the games would kick off this year. An earlier law passed in 2015 called for the racino table games to debut in 2021, so HB 1483 seeks to simply move up the timeline. HB 1483 is very similar to provisions contained in Indiana Senate Bill 552, a 31-page measure that also seeks to authorize sports betting. In addition to the momentum for sports betting, Indiana is eager to kick off live table games at the racinos, located in Shelbyville (Indiana Grand Racing & Casino) and Anderson (Harrah’s Hoosier Park), both of which sit in close proximity to Indianapolis, the state’s most populous city. Efforts for live-dealer table games at the racetracks date back to at least 2013. Eberhart, whose district is home to the Shelbyville racino, tried in 2017 to pass a measure allowing for the racinos to kick off live dealer tables in 2017, but it was unsuccessful. It’s an issue he has long been behind. In 2015, two of the state’s full-fledged casinos — the Rising Star Casino and the French Lick Casino — opposed the racinos obtaining live table games, which reportedly led to the 2021 timeline. Caesars Entertainment acquired the racino properties last year from Centaur Holdings in a deal worth $1.7 billion. It was a major deal for the Indiana gaming industry, but it wasn’t without some controversy. The state fined Caesars $1 mm during the regulatory process. Caesars’ entry into the Indiana horse racing industry was also met with some cautious optimism by racing proponents unsure about the casino giant’s “commitment” to the tracks. Caesars also has the Horseshoe Southern Indiana near Louisville and the Horseshoe Casino in Hammond. Indiana is the company’s largest market outside of Nevada. Indiana has 13 casinos/racinos altogether. Most are considered “riverboat” casinos. Under HB 1483, Hoosier State gaming regulators would evaluate the table game pitches based on several factors: economic benefits, tax revenue, number of new jobs, and capital investments. Regulators would limit the number of games to whatever the licensee presents in its plan. However, the racinos would be limited to 2,200 “gambling games” in total, which includes slot machines. In addition to the aforementioned SB 552, the state of Indiana has two other proposals for authorizing sports betting. They are House Bill 1363 and Senate Bill 439. At this stage in the game, HB 1363 and SB 439 are effectively companion proposals. All three bills would allow the Caesars racinos to have sportsbooks, along with the other gambling facilities in the state. Additionally, the proposals call for remote (online/mobile) wagering. The hope is to grow the state’s $2.2 billion commercial casino gambling market, which has been relatively flat in recent years. Indiana has the potential to see $7.5 billion in annual sports betting handle, generating more than $400 million in gaming revenue, according to a 2017 Oxford Economics Study.